I have no idea why but this has been requested by numerous people. I find it useful even tough I already have a MacBook Pro, because when I need gestures like exposé It is right there, not a reach across the desk to get to my MacBook. The setup is very simple. First step is to update your software. Do that by going to the apple menu and clicking Software Update. 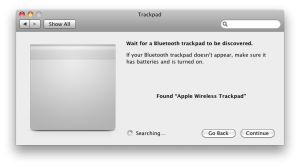 This will then download the drivers for the Magic Trackpad. Once you have downloaded the update and restarted, press and hold the power button on your trackpad until the green light starts flashing. 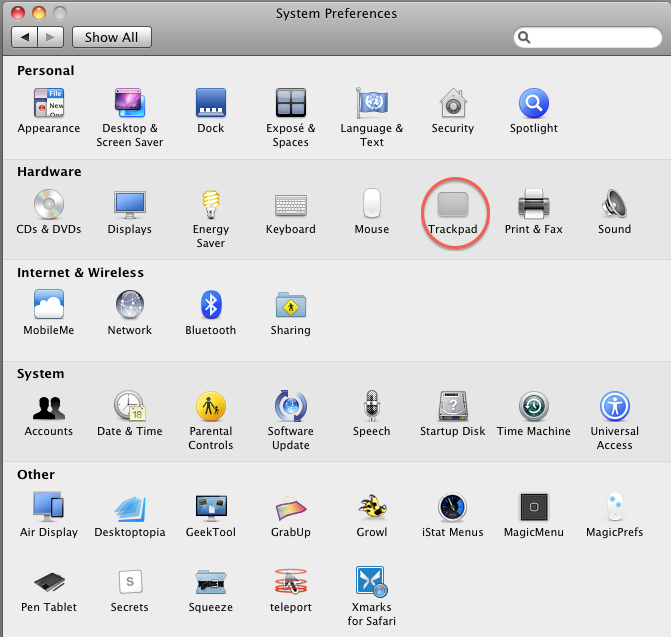 Once that is working, go into System Preferences and click on Trackpad. 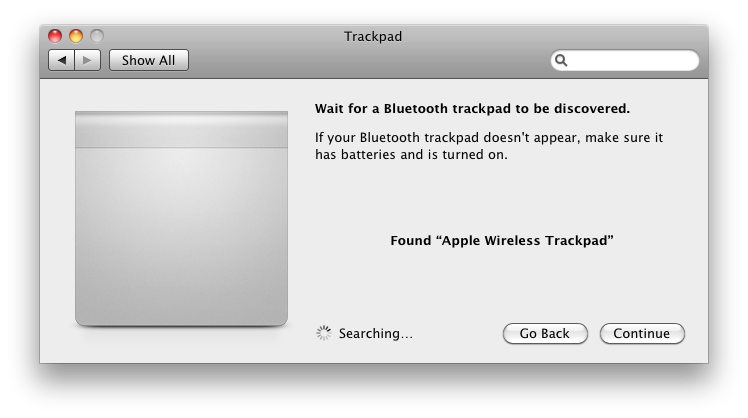 Once in the pane, click on Set Up Bluetooth Trackpad in the bottom right corner. 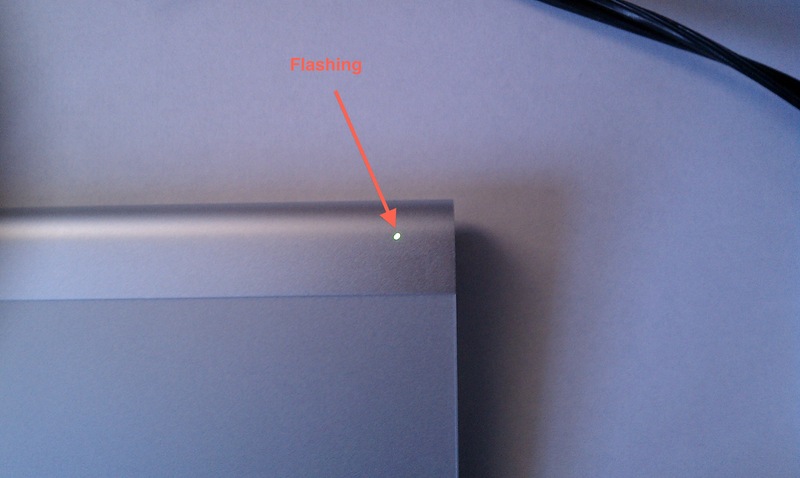 Make sure the light on the trackpad is still blinking (if it isn’t just press the power button once) and you should see a window appear. After a few seconds it should look like this. Once it looks like that^^^ click continue and your wireless trackpad will be setup! 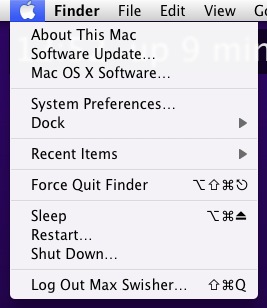 In the pane that follows you can configure a bunch of cool options. 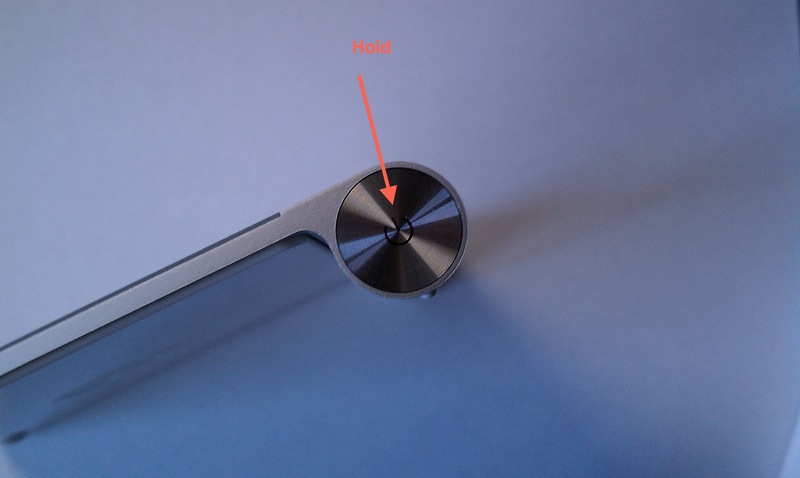 The Magic Trackpad is a good addition or replacement for a mouse. The large surface is convenient because you will rarely have to pick up your finger, however having it so large does make it feel a little bit awkward. I think that if you are getting (or have) an iMac or other Mac desktop then you may prefer this over the Magic Mouse for it’s multitouch gestures. 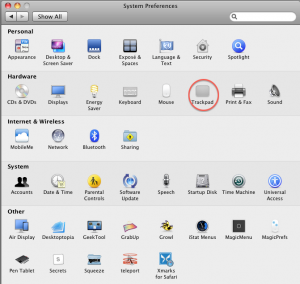 For MacBook and PacBook Pro users I find this only useful if you are already using an external keyboard and mouse because you can get the gestures right where you need them without reaching out across your desk to get to your MacBook’s Trackpad. It’s aluminum design fits in perfectly with the Wireless Keyboard and is even the exact same height. I’m thinking that apple should create a Magic Keyboard that has a Magic Trackpad on the side of it. The Magic Trackpad is currently available at your Local Apple store for $69. So all of the posts here have personal meaning to me. They are a reflection of my thoughts. All of them are important. But if you look here, you’ll notice that all of them are at least a paragraph long. Some of my thoughts are just as meaningful but don’t have that much to elaborate on. As an example, here is one of my thoughts that is important and relevant to this blog: “The Droid X is simply too big and isn’t confortable to hold. That’s why I prefer my Droid Incredible.” Now this is meaningful but what else is there to say? That would look kinda funny in a post where the title takes up more space than the post itself. So that’s why I have created a new site for the posts that are just too small to fit (oxymoron anyone?) on Good Morning Geek. And just because the posts are shorter doesn’t mean they have any less meaning! You can check out these posts at maxswisher.com. Please check over there along with Good Morning Geek! So all of the other smartphone companies are drooling over the sales of the iPad. So they are all trying to make their own tablet. But it seems that they all have to take their name (or part of it) and put PAD at the end. That will be two more products that people are going to be commenting on their revalance to a female hygiene product. That’s just what we needed. So first we have the iPad. Then we have the palmpad. And now watch out for the BlackPad by our friends RIM! They should’ve called it the blackbook are blacklet or for heavens sakes the Blackberry 6″. So RIM hasn’t officially confirmed that the blackpad exists, but RIM has indeed bought the domain BlackPad.com. I think we all know where that leads. So I recently took a wonderful eleven day vacation to Japan. It was great. I found some new things about apple in Japan though. Turns out that in Japan, what you would call “Airport” is called “AirMac”. 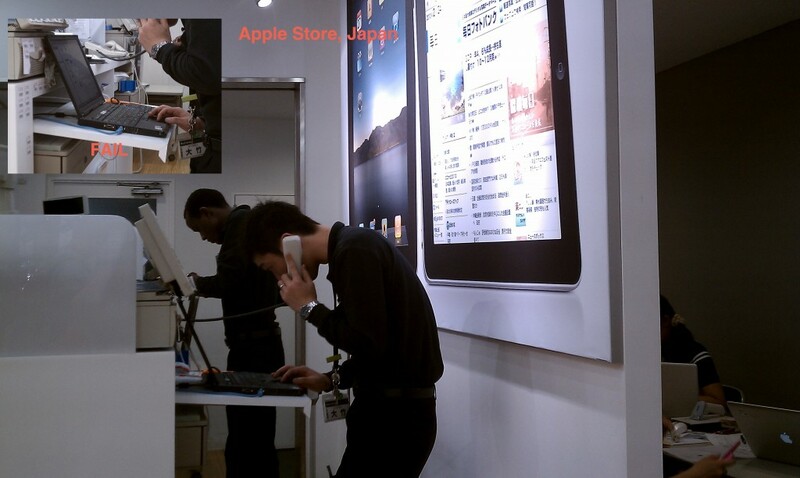 I thought this was a spoof until I looked online at the japanese apple site. I happened to also come across one of those certified apple resellers that isn’t really an apple store but sells al appe products. And a look behind the counter made me LAUGH! So a few months ago, you may have noticed that palm was dying in the dust, and one of the most unexpected things happened: HP bought palm. When you look back on it, it was smart. The Windows 7 slate wasn’t performing well at all, and palm was a dying company with some really great technology. We all knew that a slate with webOS was on it’s way. But what I’m trying to point out is it’s physical appearance and the name. It seems like HP might just be copying apple. First, look at that picture. How can you tell me that doesn’t look much like a sideways iPAD? It just happens to be running an interface identical to Palm’s webOS. But there’s one difference: Only one of those pads was an original idea, not a copycat. Unless of course you live under a rock, you have heard about the terrible antenna problems the iPhone 4 has been having. Basically, if you put your hand over the left black line, all of your signal drops. Apple was having a PR disaster, but today Apple held a press conference and it seems that the truths were revealed. But I must say, Apple wasn’t playing fair here. First, Steve Jobs ponts out how all of the smartphones antennagate. He showed test videos of many popular phones including the BlackBerry Bold. This is simply putting down the competition and saying “we can’t go against the laws of physics… yet.” [Steve Jobs]. Fine. I used to dub apple as the greatest of all. But my view is changing as apple begins to turn into the evil empire. If you look at some of the press you will see how apple us taking a very bad response to this iphone for antenna problem. They have been saying nothing to the press and they are not anything their problem. This is kind if odd for a company so focused on its reputation and good press. So here what I now say: apple has some of the best computers and electronics and design basi (plural of basis?) But as a company are entirely evil. On the good side is google, but o don’t really dub apple and google in the same field other than mobile operating system (where I dub android better, more on that later) so I cant really call them head on competitors. But I praise google for being so open. I mean I even have a google socket on the back of my macbook and iPad. So I guess I like them both. As far as pcs go, I’m less crazy about mac. I man, people have their reasons, but overall I still dub apple as the best overall computer creator. I’m going to discontinue posting to the blog for two weeks to allow some more ideas to accumulate to publish about.